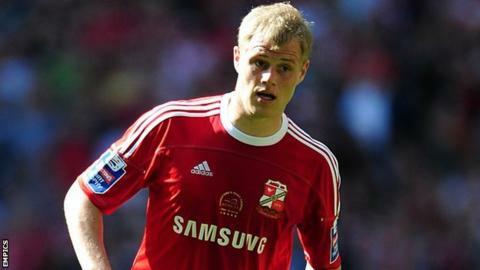 Swindon defender Jay McEveley has been released by the League One club, one of 10 first-team players to be let go. The 29-year-old joined Town under Paolo Di Canio's reign in July 2012, going on to make 71 appearances for the club. Forwards Paul Benson, who has spent this season on loan at Luton Town, and Dany N'Guessan have also been released. Aaron Oakley, Kayden Jackson, Alex Smith, Leigh Bedwell, Mark Francis, Lee Cox and Alex Ferguson have also not been offered new deals. A Swindon Town statement read: "The club would like to thank all of these players for their dedication, hard work and commitment during their time at the County Ground and wish them all the very best in their future careers."